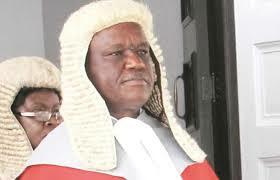 CHIEF Justice Luke Malaba has described some of the austerity measures introduced by Finance minister Mthuli Ncube as a threat to the rule of law and implored the minister to allow the Judicial Service Commission (JSC) space to deal with its own financial affairs. The Chief Justice made the remarks in Harare yesterday at the official opening of the 2019 judicial year. Justice Malaba said the Judiciary should be allowed to independently run its affairs. “I also acknowledge the policy statements and the austerity measures directed by the Minister of Finance and Economic Development and appreciate that the Judiciary will not be spared from these. It is, however, important for Treasury to take note of (some) fundamentals,” he said. “The Judiciary, because of its nature and unlike the other two arms of State, is unable and has no means of aggressively pushing for increased budgetary allocations. This is the reason why the JSC tries to live within the means allocated to it. It will, therefore, be a self-defeating exercise for Treasury to attempt to unnecessarily ring-fence the JSC’s budget and stifle the Judiciary from accessing its budgeted funds timeously. The top judge further said it was only a truly independent Judiciary that could withstand the pressure exerted by the demands of the principle of the rule of law, adding that the doctrine of separation of powers, upon which the country’s constitutional democracy was premised and specifically embraces the independence of the Judiciary. “That independence includes financial independence. It is important in this context that the Judiciary is able to access funds allocated to it in the budget timeously in order to execute its constitutional mandate. Anything contrary to this will negatively affect court operations. Unfortunately, that in turn may be interpreted as interference and is certainly a threat to the rule of law,” he said. An independent Judiciary was one of the cornerstones of a democratic society and to fully discharge its responsibilities, it must not be subject to the improper influence of other arms of government, particularly the Executive which has often been accused of tampering with the wheels of justice, he added. Justice Malaba further said the JSC also required huge sums of money to fund the payment of witnesses, who give evidence in courts, without which the courts would not be able to function.